If you find yourself in a no-heat situation, follow the simple steps below to try to get your system back up and running. Doing so can often save you the expense of a service call! Make sure the temperature on your thermostat is set higher than the current room temperature. If you have a programmable thermostat, also make sure the heat switch is on, the date and time are set correctly, and the battery is good. 2) Is the EMERGENCY SWITCH on? 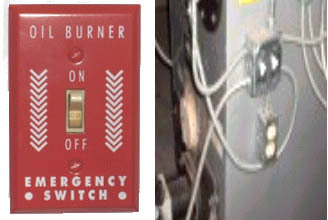 Your EMERGENCY SWITCH is usually located on first floor of your home near the basement door or utility room door. It looks like a light switch but has red wall plate with the words EMERGENCY SWITCH on it. There may also be a switch on the side of the furnace/boiler. Make sure the switch is on. 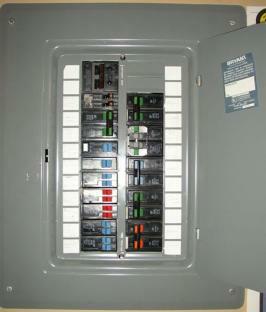 Check your home’s electrical box for blown fuses or a tripped circuit breaker. Replace blown fuses or reset the circuit breaker. 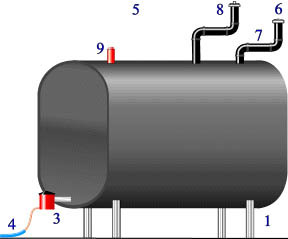 4) Check the Oil Tank Gauge. Check the fuel level on your oil tank gauge. Does it indicate above the bottom line on the glass? If it’s on the bottom line, it means there is no oil in the tank. Call us immediately for delivery. 5) Still No Heat? Reset the Burner. Press the burner reset button ONE TIME ONLY. 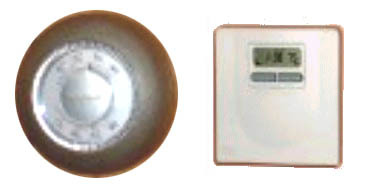 The reset button is typically located on the top right-hand side of the burner. You should hear the unit try to start. If everything looks good on steps 1 through 4 and your system does not start and stay running on step 5, Squier & Company customers should CALL (413) 267-3184 IMMEDIATELY for service. 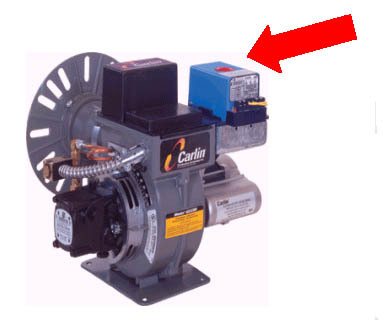 A burner technician will usually arrive within one hour.